Designed for elite-level lifting, the Nike Romaleos 3 XD features a honeycomb-patterned plate for stability, while Flywire technology and a dynamic strap provides a supportive fit during your workout. 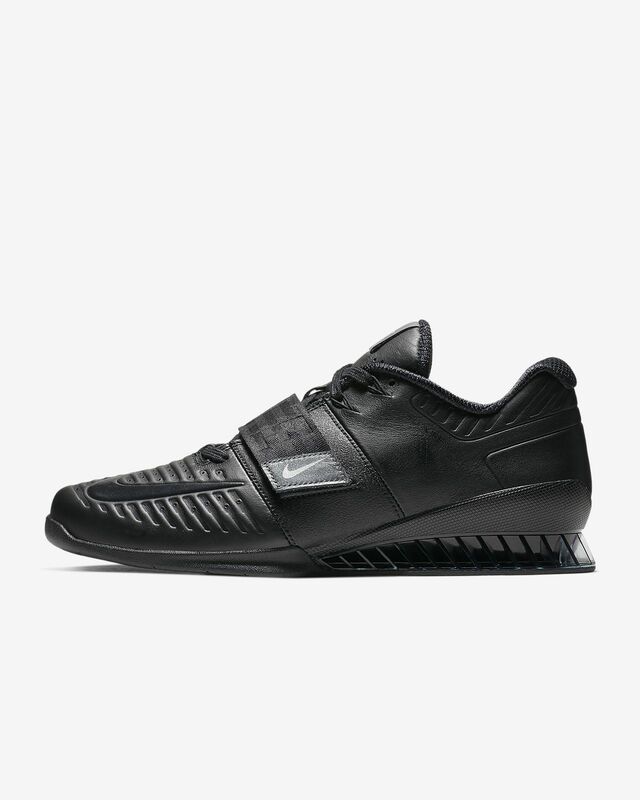 I was looking all around for a good weightlifting shoe but I had never bought a pair. I have been increasing a lot of my numbers at the gym so I figured it was time to get a little more serious. Nike has always been my favorite brand so I came here and found the romaleos 3 XD. I was not sure of the sizing so I went to a store to see if they had them but unfortunately I couldn’t find them anywhere, closest thing I could find was metcons(4). I’m usually a size 8 or 8.5 in basketball shoes from Nike But I tried on the metcons and found my size was 7 with the metcons and decided I’d buy romaleos online in the same size(7). When they came in they fit perfectly, I recommend you go about a size down from the average Nike shoe. I went straight to the gym to try them out. They felt great it felt like I was glued to the floor when I squated and it has enough give on the toe to let you walk around the gym comfortably. They are super stable like you’d expect, awesome support and the quality of the shoe feels like it’s worth every cent can’t wait to continue using these, thank you for reading my review. Currently loving the shoe true fit to size. I wear size 11 and feels great on my feet. I tried the previous version of the shoe and read the reviews on the tongue ripping but with the XD design don’t have to worry about that due to being an actual cushion regular tongue. The shoes look great and I’m already feeling the difference in lifts on leg days. Looks like Nike decided to fix what wasnt broken on this one. Shoe is incredibly narrow and far too tight if sized correctly. The sole puts pressure points in all the wrong places making for one of the most rigid and uncomfortable shoes Ive ever put on. Very dissapointed.